The Nautica Ahoy hardside spinner suitcase comes in three sizes: 21 inches, 25 inches and 28 inches. The smallest option was a great piece of luggage to take for a friend and I to pack for a long weekend in Tahoe. 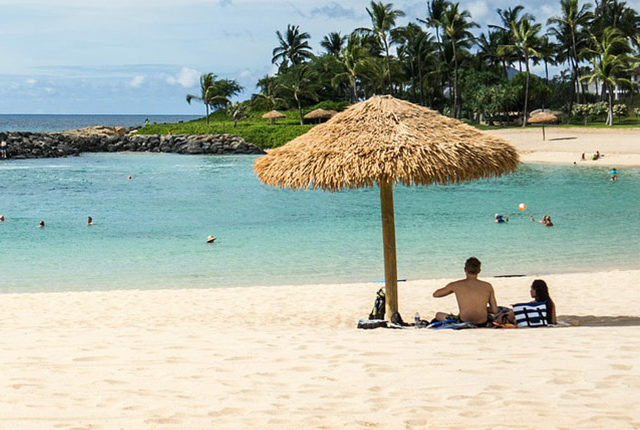 Here’s everything you should know about the suitcase before buying. The Nautica Ahoy is also easy to roll and quite light. In terms of portability, though, the Ahoy is lacking a side handle. This wasn’t a huge problem on the Tahoe trip, but I’ve struggled without a side handle in the past while trying to load suitcases into overhead bins on airplanes. So while it’s great that the Ahoy is carry-on approved, it’s not going to be the easiest to get up in the compartment. In terms of packing, I really enjoyed the divided interior. 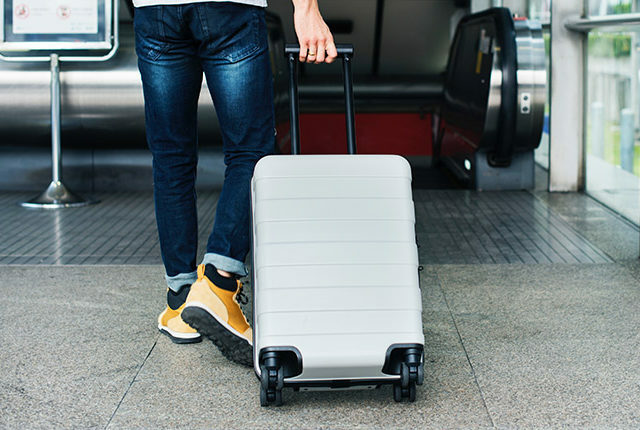 The base of the suitcase has two straps for holding half your items in place, while the top compartment has a zipped flap to keep everything else organized. As I’ve mentioned with other hard shells, this is great for folks who spend their vacations living out of their suitcases. 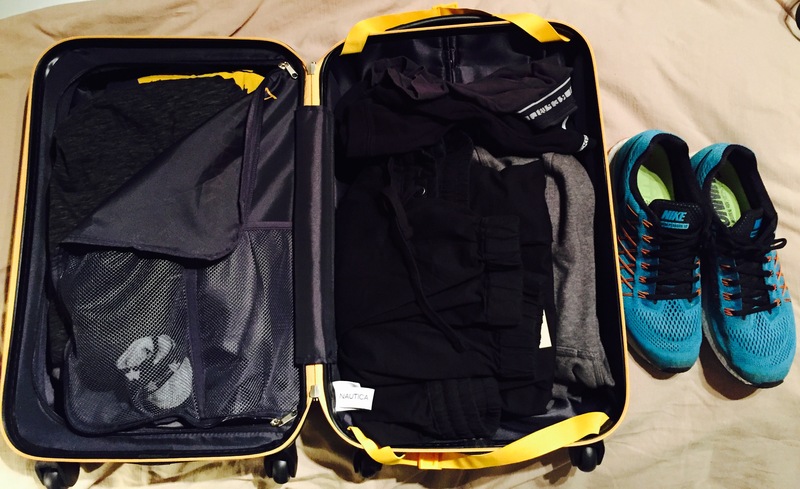 The zipped compartment is also a great place to store dirty clothes or smelly running shoes. While Nautica is hardly an off-brand, it’s not a brand necessarily known for luggage, much less durability. So if you’re looking for a staple carry-on, you might be better off choosing a more luggage-centric brand. The handle for rolling, for example, is a bit wobbly even before being tested continuously for years. 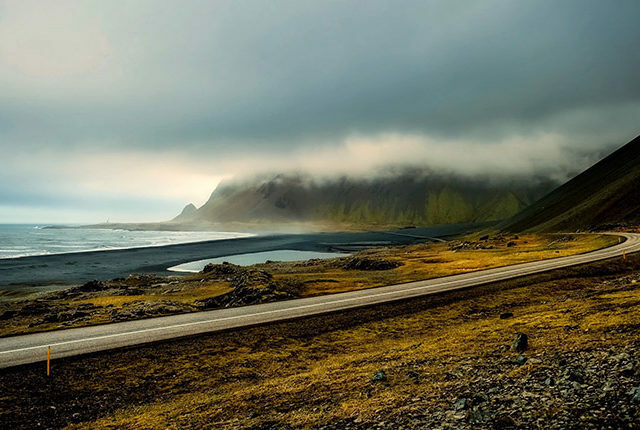 The price, which varies dramatically based on where you’re buying, is also something to consider. At the sticker price of $300, I would never buy this bag, to be blunt. But at less than $100, you’re getting a lot of bang (read: style) for your buck. The key pro of this piece of luggage is the fact that it’s a unique-looking hard shell spinner. But it’s not particularly differentiated for others unless you’re a huge fan of Nautica’s nautical style. The main con is the lack of a side handle. 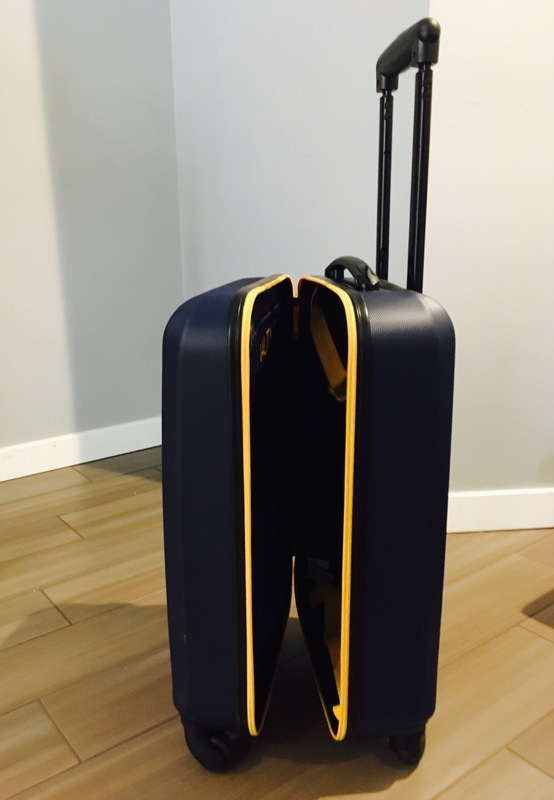 The Nautica 2 Ahoy hard-shell spinner isn’t a staple item of luggage, but if you can get it for the right price, it’s a nice stylish edition to a larger luggage collection (see all our luggage reviews). 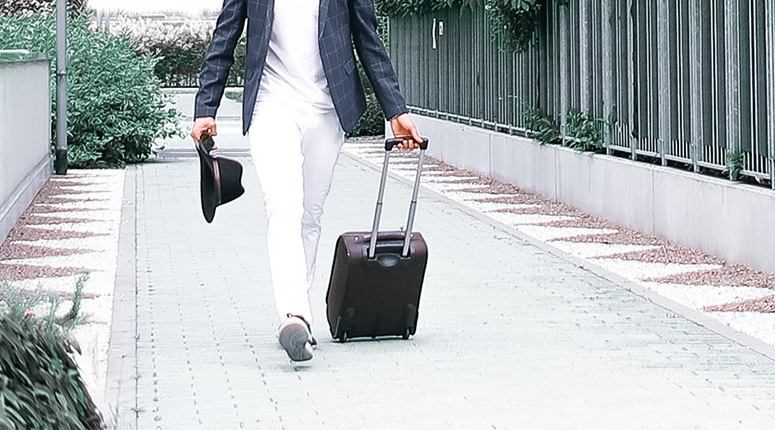 The lightweight carry-on has a sleek exterior hard shell that would look great for a business trip, while there’s plenty of room for all your necessities in the divided interior. 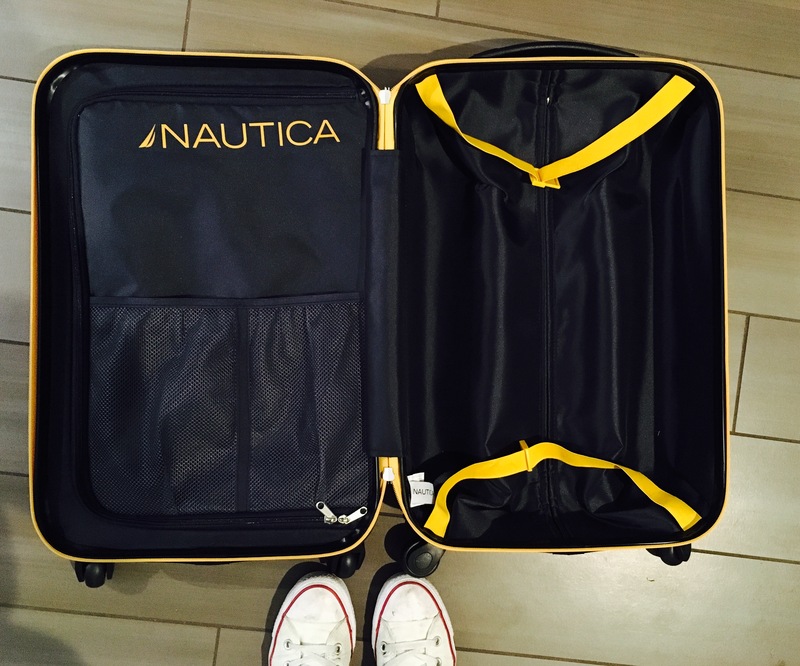 Interested in Purchasing the Nautica Ahoy Carry On?